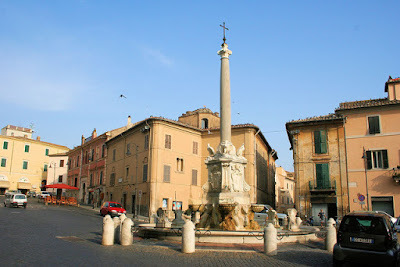 To escape the maddening crowds of the Eternal city head for a day trip to the small city of Tarquinia. Only an hour northwest of Rome, Tarquinia remains relatively unknown to foreign tourists who are in a rush to tick off their list all the obvious Italian sites. Steeped in history Tarquinia offers architectural wealth that spans many centuries. The city’s main attraction is the 3,000-year-old Etruscan Monterozzi Necropolis, a UNESCO World Heritage Site. 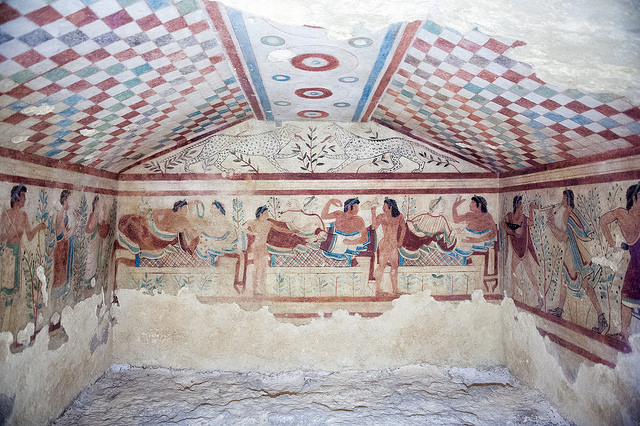 Although only around 20 tombs out of six thousand are open to visitors, it is more than enough to appreciate the beauty and historical significance of this archaeological site, admire exquisite frescoes and learn about this mysterious civilization. Stroll around Tarquinia’s old centre to take in the relaxed atmosphere and explore numerous churches, medieval towers, fort and ancient palaces. The splendid Renaissance Palazzo Vitelleschi houses the Tarquinia National Museum with a large collection of objects discovered in the necropolis that include impressive stone sarcophagi, delicate gold jewelry and pottery. There is also the Tarquinia Ceramic Museum (Museo della Ceramica d'Uso a Corneto) filled with artefacts from medieval and Renaissance periods as well as a fascinating reconstruction of a 500-year-old kitchen. Check out the stunning 12th-century Church of Santa Maria di Castello, the main cathedral with splendid frescoes, the small but charming Church of San Martino, the Romanesque style Communal Palace and the Renaissance Palazzo dei Priori. To take a breath from sightseeing head to the beach in Lido di Tarquinia or one of many great local restaurants. The area around the city is renowned for its excellent olive oil and wine. The Ambaradam restaurant serves (Piazza Giacomo Matteotti, 14) delicious fresh seafood dishes. In the charming La Capanna del Buttero (Via della Tuscia, 19) try homemade pasta with wild mushrooms or juicy grilled meat. Photos via Flickr by: Craig Stanfill, Luca Cerabona, Raymond Bucko.